Occupy Central: Placing Hong Kong at Risk? Occupy Central with Love and Peace, a civil-disobedience campaign for democracy and direct elections in Hong Kong, was initiated a year and a half ago by Benny Tai, an associate professor of law at the University of Hong Kong. Hong Kong’s chief executive officer is currently chosen by a 1,200-member election committee consisting of individuals and groups, which are increasingly pro-Beijing. The Chinese central government has promised universal suffrage in the next elections, in 2017, raising much hope among Hong Kong’s people. In March 2013, Qiao Xiaoyang, chairman of the Law Committee under the Chinese National People’s Congress Standing Committee, defied this, however, by stating that candidates for Hong Kong’s chief executive must oppose confrontation with the central government. Three days later Tai and fellow organizers officially announced the Occupy Central movement with early estimates predicting that at least 10,000 citizens will join the protest. The Occupy Central protests could begin in Central, Hong Kong’s financial and business district, on July 1 — the 17th anniversary of the 1997 British handover of Hong Kong back to China. Last week over 700,000 Hong Kong citizens — over 10 percent of the population — cast votes in an unofficial poll on electoral reform. The poll will end on the June 29. 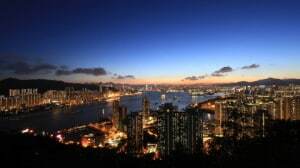 As a special administrative region of the People’s Republic of China, with its own executive, legislature, and judiciary, Hong Kong holds an unusual position. To protect its unique status and to restrict the mainland’s executive power in Hong Kong, Britain and China jointly declared the principle “one country, two systems” through the Basic Law in the 1997 handover. This principle recognized a “high degree of autonomy” for Hong Kong. However, a white paper recently released by Beijing states that Hong Kong does not have “full autonomy.” The 14,500-word paper aimed to be reinforce Beijing’s influence and power over Hong Kong electoral reform. Nevertheless, while Hong Kong has no army and depends on China for security, the special administrative region enjoys a high level of autonomy. Politically, it stands as an individual member of international organizations such as the UN and the World Trade Organization, and engages in direct negotiations with other member countries. Financially, Hong Kong’s AAA credit rating is higher than Beijing’s AA, and Hong Kong trades the official Chinese currency, the renminbi, at a lower interest rate and exchange rate than the mainland. Legally, Hong Kong has operated under the Basic Law since the handover. Considering all this, why should Beijing worry about greater political participation in Hong Kong? Here’s why: If the people of Hong Kong can freely nominate and vote for candidates, the people on the mainland may demand the same freedom for themselves. That would put the Chinese government in a difficult position and possibly lead to social unrest among its population of 1.3 billion. Neither the Occupy Central organizers nor the Chinese central government can predict what the protests will bring. Within the central government different factions favor different ways to handle the protest movement: So-called “hawks” want to take a hard line in order to intimidate the people of Hong Kong, while the “doves” want a more peaceful approach. Similarly, some officials are concerned that U.S. agents would be willing to hurt Occupy Central protesters in a false-flag operation to stoke Hong Kong’s disgust with the central government. The central government is also mindful that American NSA whistleblower Edward Snowden’s initially found refuge in Hong Kong after disclosing how the U.S. government spies on foreign leaders, as well as American citizens. This event has strengthened those who want to remove all possibility of unrest in Hong Kong. Finally, Hong Kong has a rich history of harboring individuals or groups that went on overthrew governments, from the infamous Sun Yat-sen and the pre-1949 Chinese communist party, to the Vietnamese communist party, which was there until it departed to fight the French. This is no doubt on the minds of China’s leadership. This article originially appeared here and is published in the course of the AtlanOne- syndication project.